Ofcom has launched an investigation into whether the UK's TV stations are ignoring the regulations on phone-in competitions. The BBC , ITV , Channel 4 and Five have all taken shows off the air due to concerns that premium rate phone-ins are being used to generate excess revenue from the public. Ofcom is concerned that the different channels have not been complying with phone-in guidelines and regulations. Talking about the reasons why Ofcom is now becoming involved, chief executive Ed Richards said: "Widespread concern about the use of premium rate telephone lines by broadcasters, and editorial standards in those programmes, has raised serious questions about trust between broadcasters and viewers." Earlier this month, ITV halted all its phone-in competitions as it began an independent investigation by auditor Deloitte. Since then, a number of its phone-ins have returned to air, but the channel's phone-in-centred station, ITV Play, has been closed. 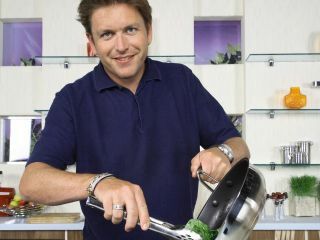 The BBC was accused of putting out a pre-recorded version of Saturday Morning Kitchen, while still encouraging people to phone in.